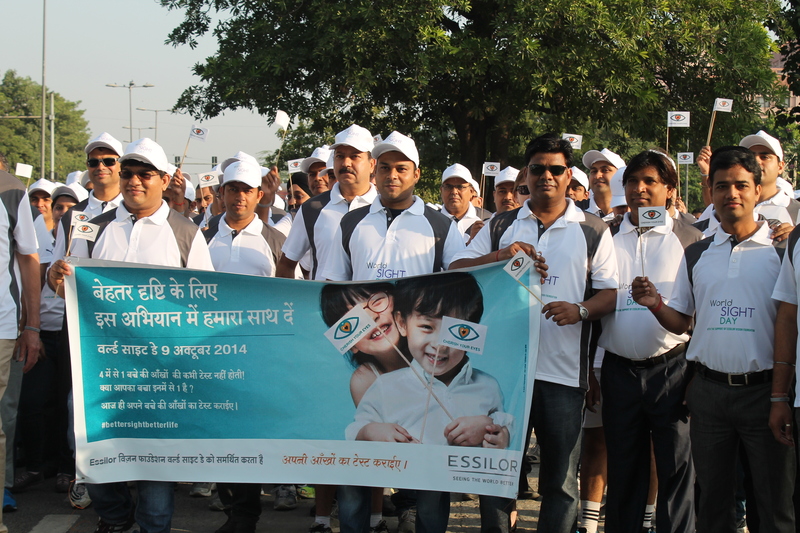 New Delhi, 9 October 2014: Essilor India has joined Essilor Group subsidiaries and partners in a worldwide effort to raise awareness of the importance of vision care on World Sight Day. The #bettersightbetterlife campaign in association with the Essilor Vision Foundation aims to build awareness of the significant loss of revenue resulting from poor vision. This revenue leak can be stopped by simply correcting and preventing vision problems. On World Sight Day (October 9), Essilor India organized a Walkathon or ‘Walk for Vision’ to raise consciousness among people regarding eye health and vision issues. Clear vision is necessary to experience life at its fullest, yet an estimated 2.5 billion people worldwide see poorly and do not have access to vision correction. In economic terms, 33 percent of the world’s working population suffers from uncorrected vision problems, leading to a loss in productivity calculated to be worth as much as USD 1 billion per day (Rs 60 Crores). Visual impairment also has significant social repercussions. Given that 80 percent of what children learn is acquired through visual information processing, poor vision can affect their progress at school as well as the way in which they integrate into society. “Essilor India is proud to participate in the global effort to raise awareness on the importance of good vision care internationally. In India, 550 million people require vision correction, they either do not have access to vision correction, or are unable to afford it or are simply unaware that they might have a vision problem. Many people fail to understand the importance of regular eye checks ups, and only seek treatment for eye-related problems when they occur. Yet, with 80 percent of vision problems being preventable, there is much more we should be doing to spread this message and nip this problem in the bud,” said Mr Shivkumar J, CEO Essilor India. To encourage people to take better care of their eyes, Essilor India is urging social media users around the world to pledge their Twitter and Facebook profiles to share a message to support and promote the importance of vision care on World Sight Day. 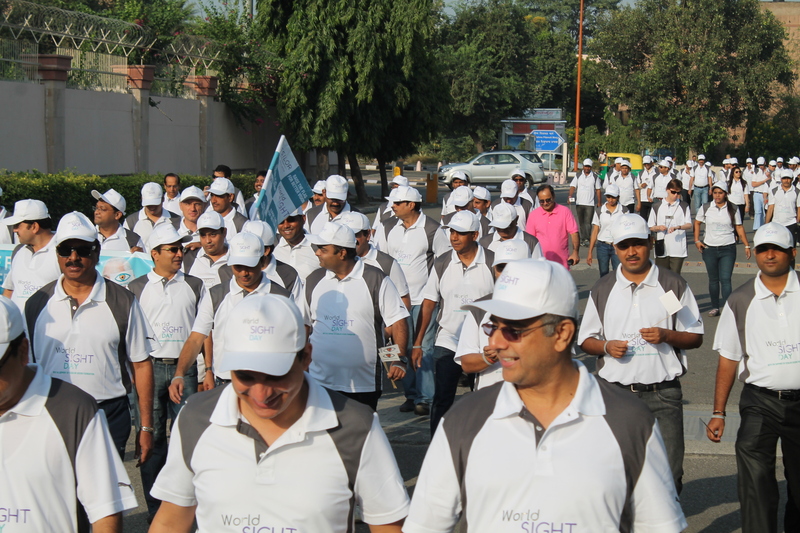 In order to raise the flag for better vision, Essilor India organized a Walk-a-ton (Walk for Vision) from Delhi’s JLN stadium to build awareness for better vision. Essilor India is a 100% subsidiary of Essilor International. The Company through its excellent services, quality products and a wide network of distributors and franchise labs has been able to revolutionize the Indian ophthalmic lens market and cause a shift from the predominant glass lenses to the safer and more superior plastic lenses. Essilor offers a wide range of the world’s best lenses- “Varilux” range of Progressive Lenses, “Crizal” Hard Multicoated Lenses ,”Optifog” anti-fog technology ,”Airwear” polycarbonate lenses to suit all lifestyles and “Titus” Hard Coated Lenses – which have set benchmarks for quality and performance. Besides these products, Essilor has an impressive array of photo chromic, tinted and high index lenses as well as lenses for special applications. Essilor also has brought international best practices into India in the areas of training and promotional activities.